Mildred N. Stone, age 91 of Troy, passed away Monday, October 15, 2018 at Troy Care Center. She was born November 6, 1926 in Darke County, OH to the late Zelma Marie (Wyan) Rohr and Lester Rohr. 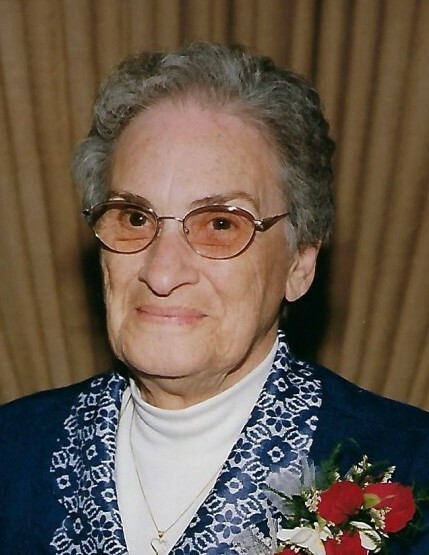 Mildred is survived by her three sons: Robert Ganger (Shirley) of Troy, MI, Roger Ganger (Joni) of Richland, MI, and Bobby Ganger (Jennifer) of Troy, OH; four grandchildren: Greg Ganger (Jennifer), Tracey Hurley (Martin), Nikki Jacobs (Todd) and Brayden Ganger, as well as seven great-grandchildren: Timothy, William, Evan, Haley, Quinn, Beckett, and Reese and her cat, K-Pod. She was preceded in death by her husband, Clarence Stone, as well as three brothers, Orville, William and Forest and two sisters, Lola and Evelyn, and her longtime companion Bob Ganger. Mildred was a former member of the Women of the Moose in Troy as well as the Pocahontas Lodge in Troy. She was a former volunteer for Upper Valley Medical Center from 2000-2013 and retired from Hobart Brothers. A Celebration of Life will be held 11:30AM Saturday, October 27, 2018 at Fisher-Cheney Funeral Home, Troy with Rev. David Ramming officiating. Visitation will be from 10:30AM-11:30AM at the funeral home prior to the service. Interment will follow in Riverside Cemetery, Troy.